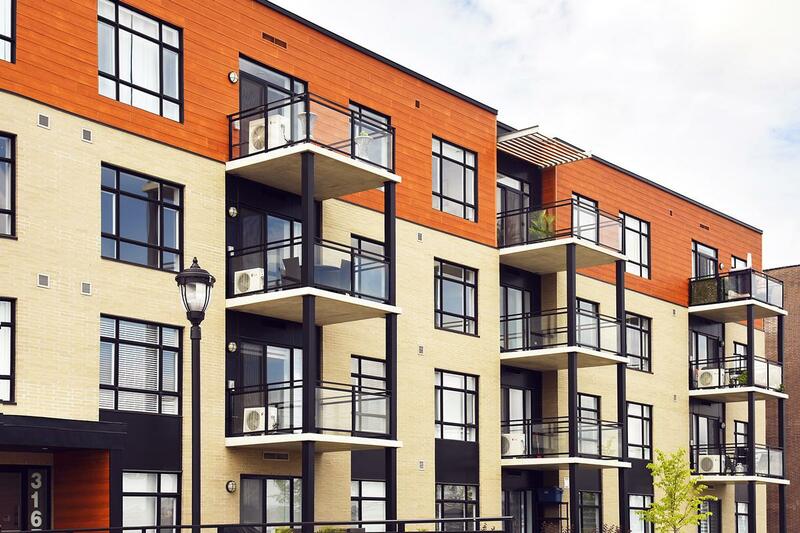 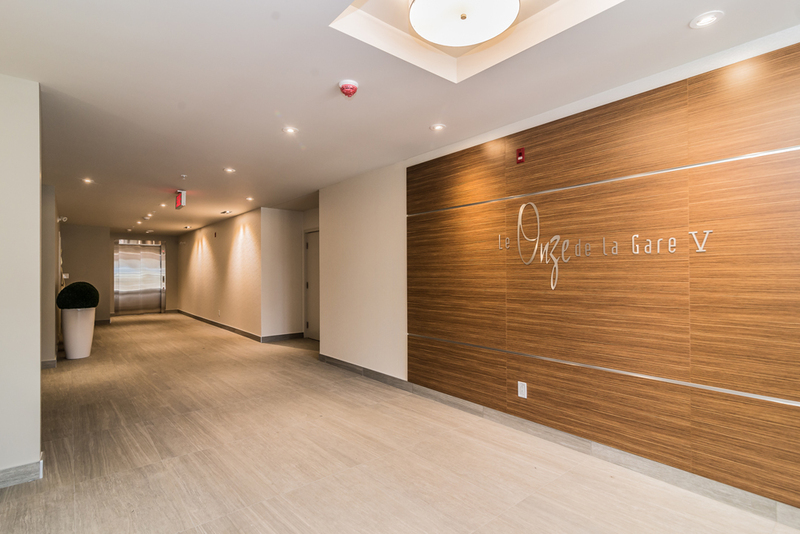 With its class and unique character, Le Onze de la Gare offers you prestigious and refined condominiums with open living areas, full-sized windows, state-of-the-art interior finishings and unobstructed views over the horizon. 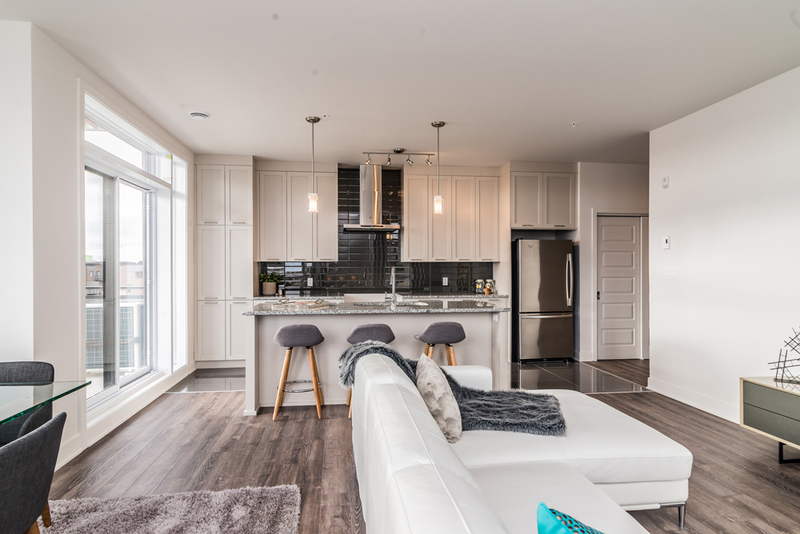 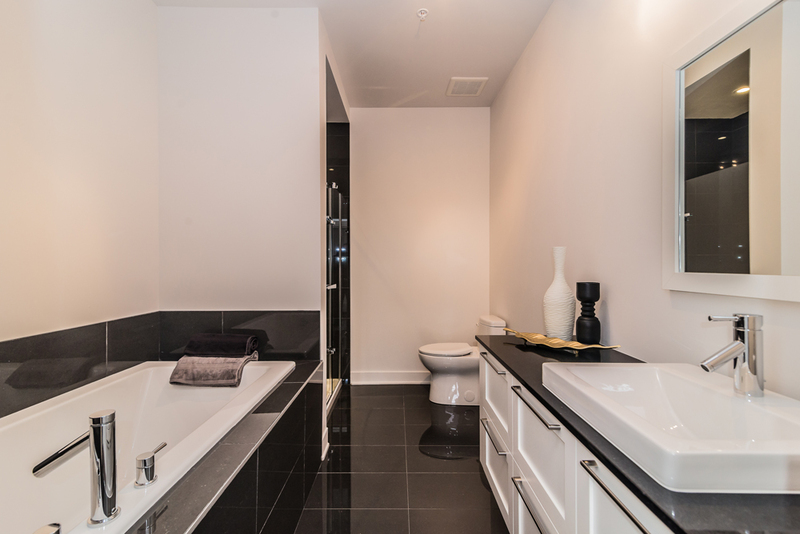 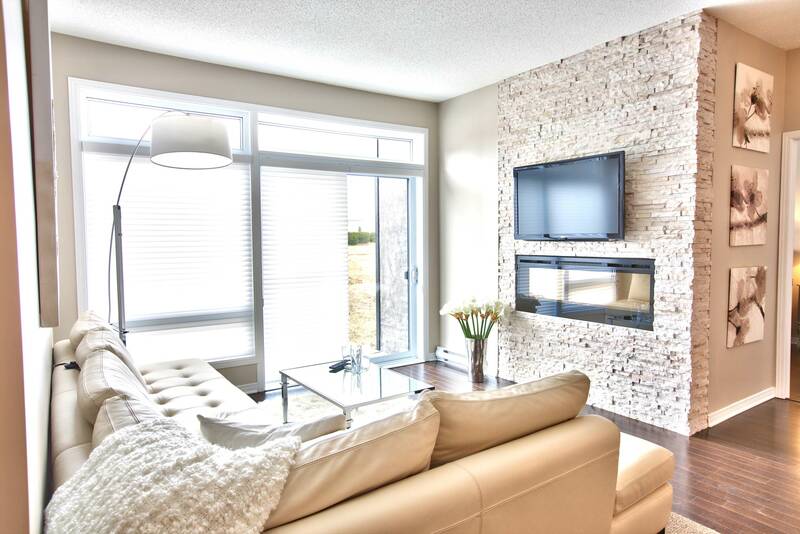 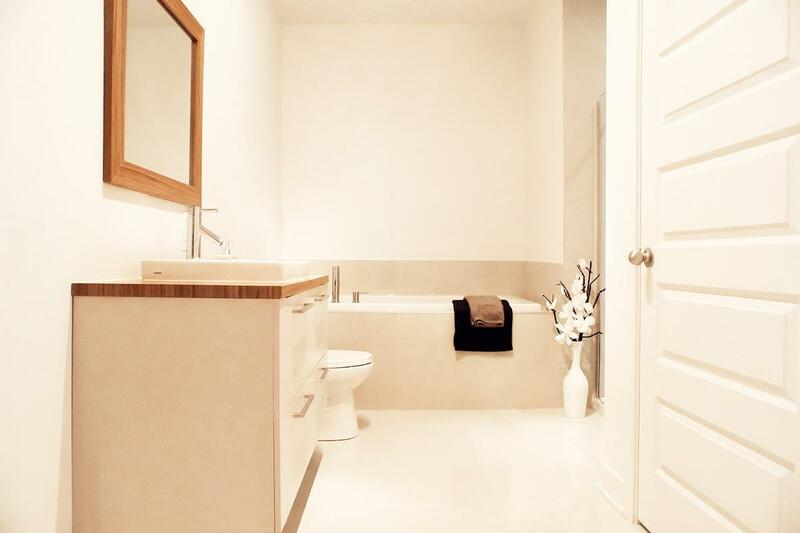 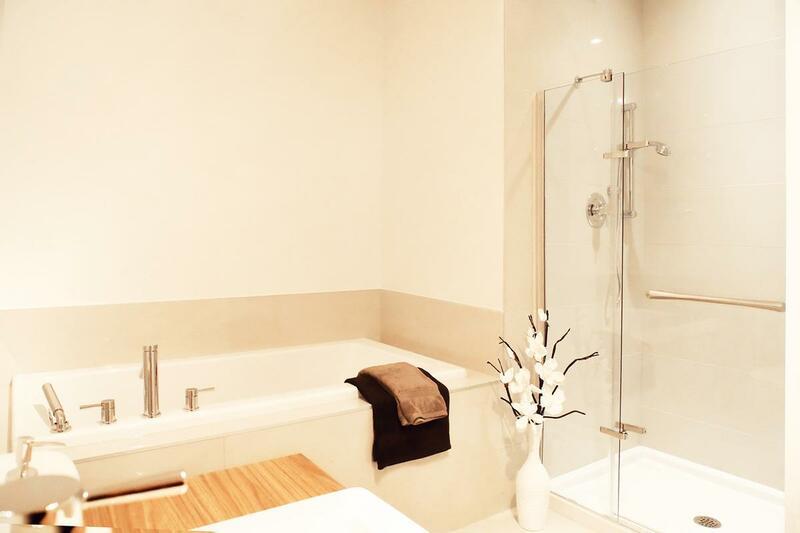 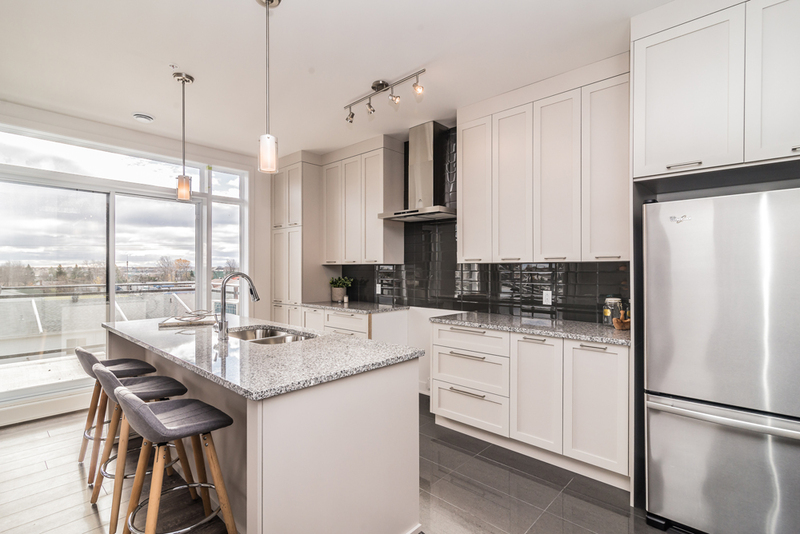 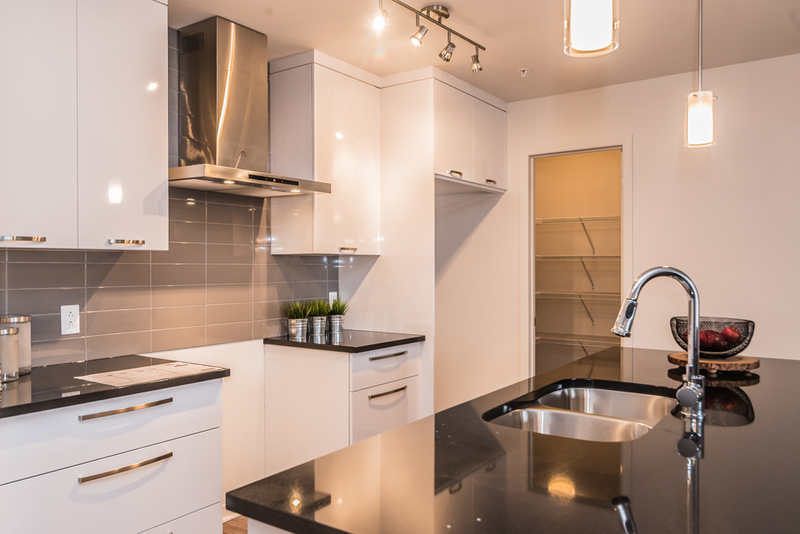 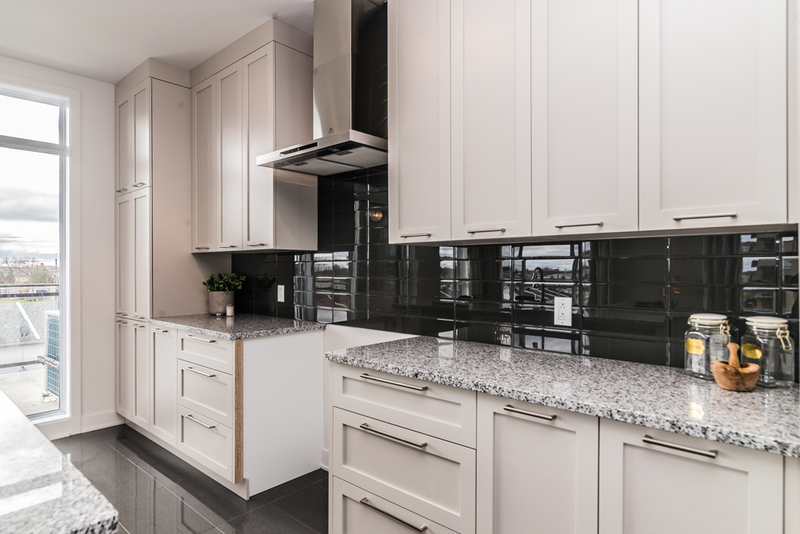 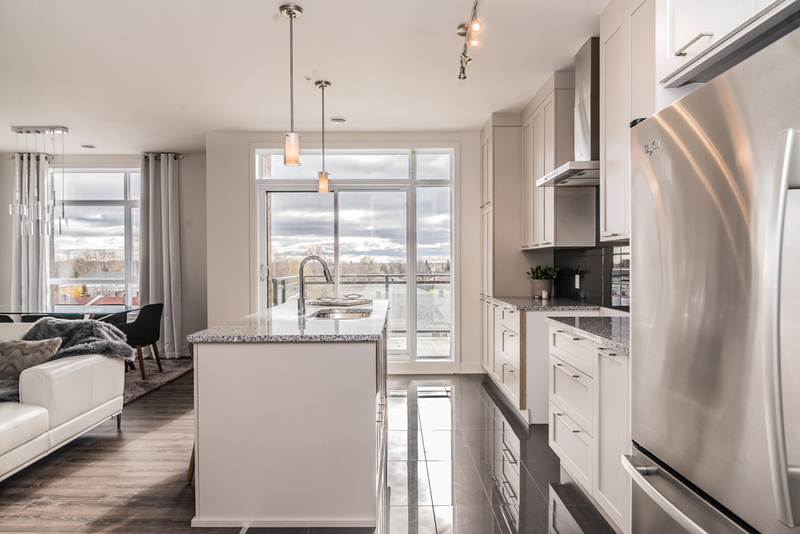 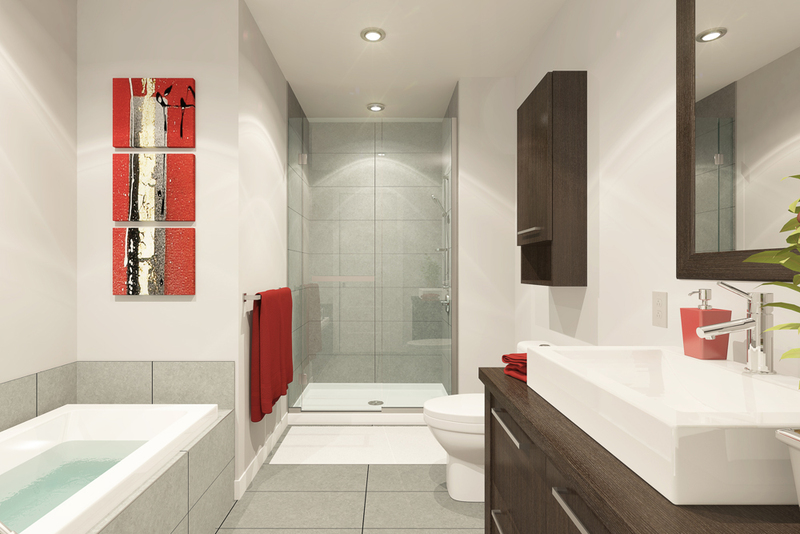 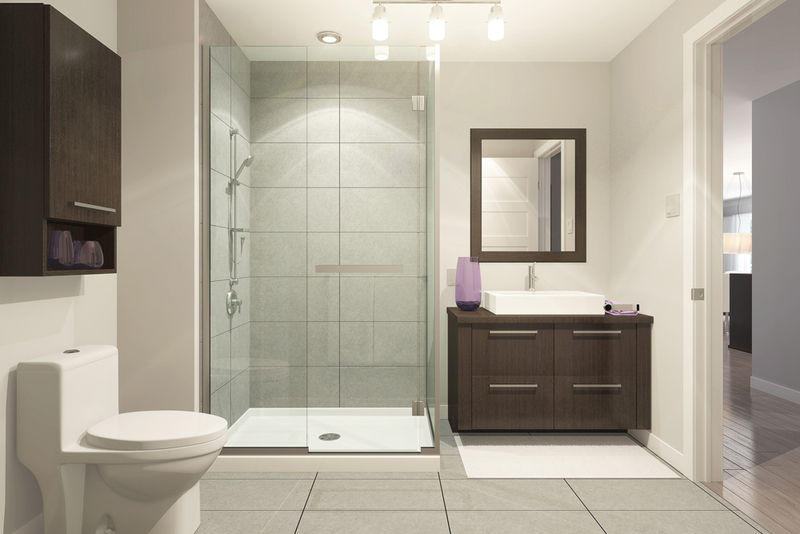 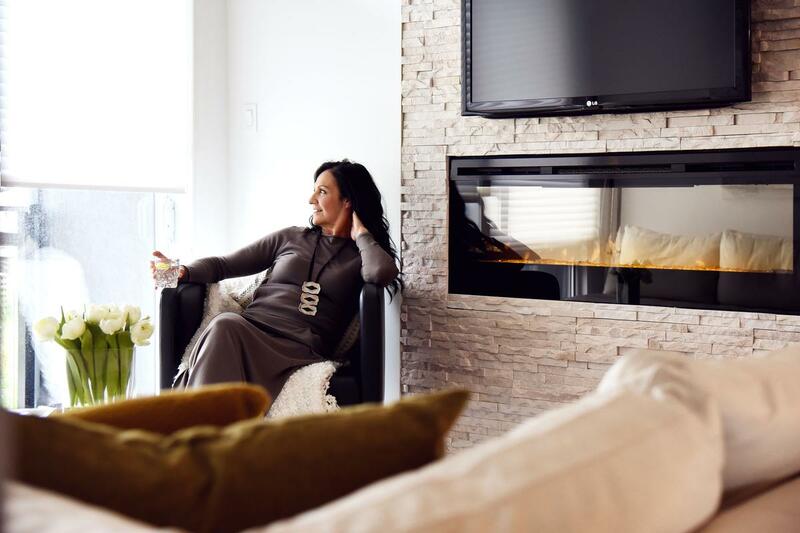 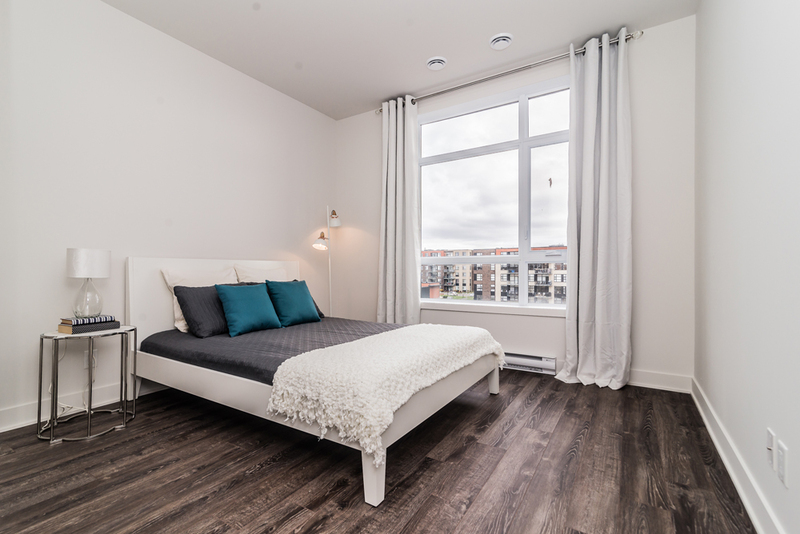 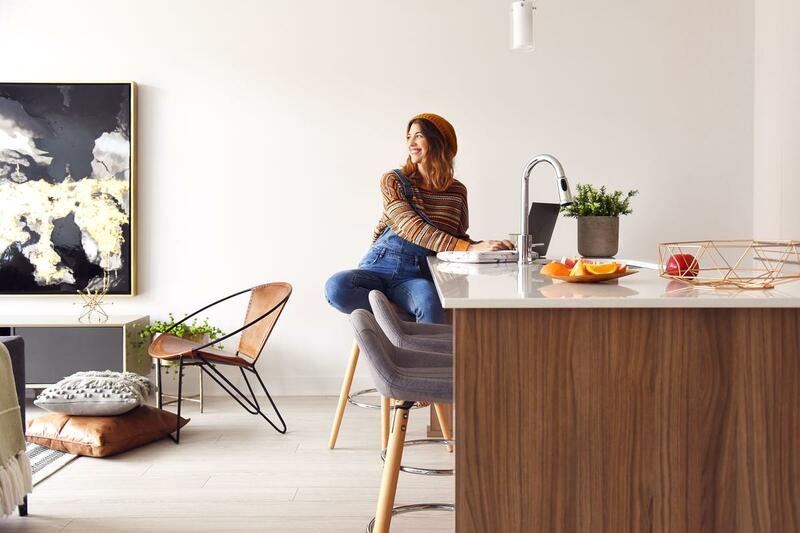 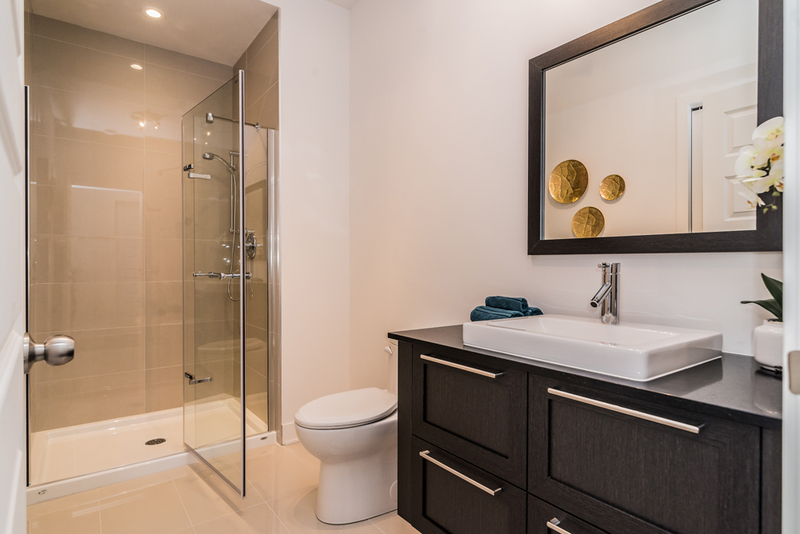 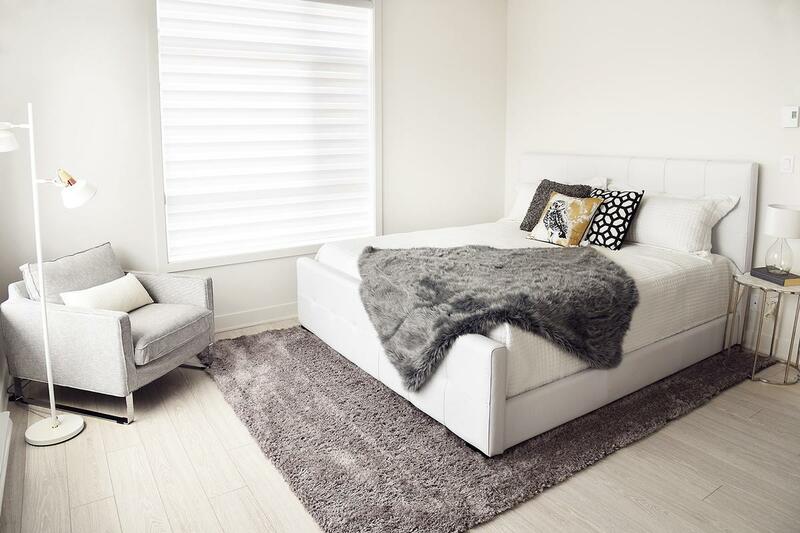 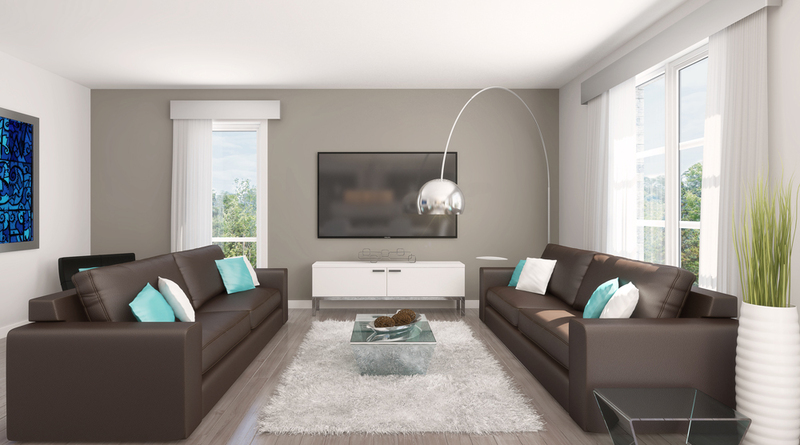 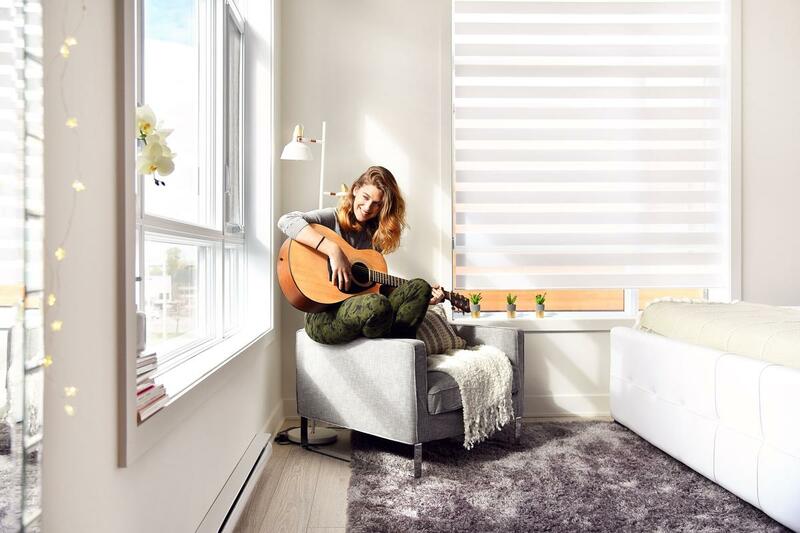 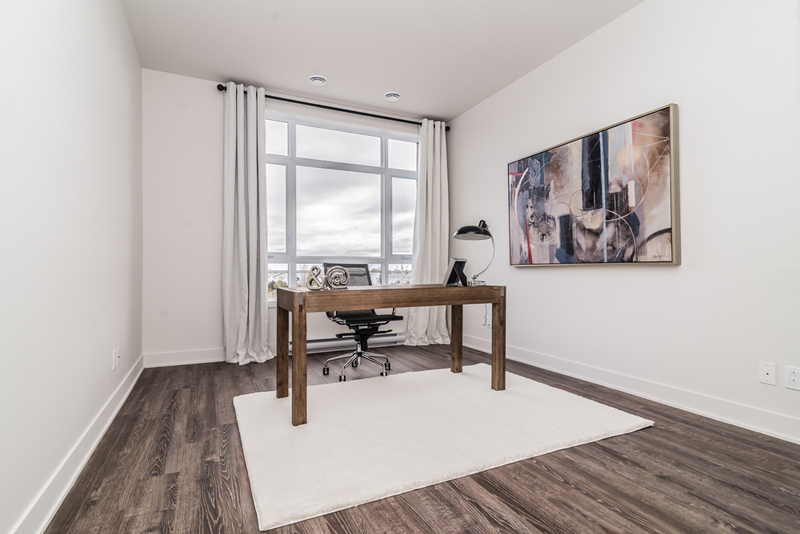 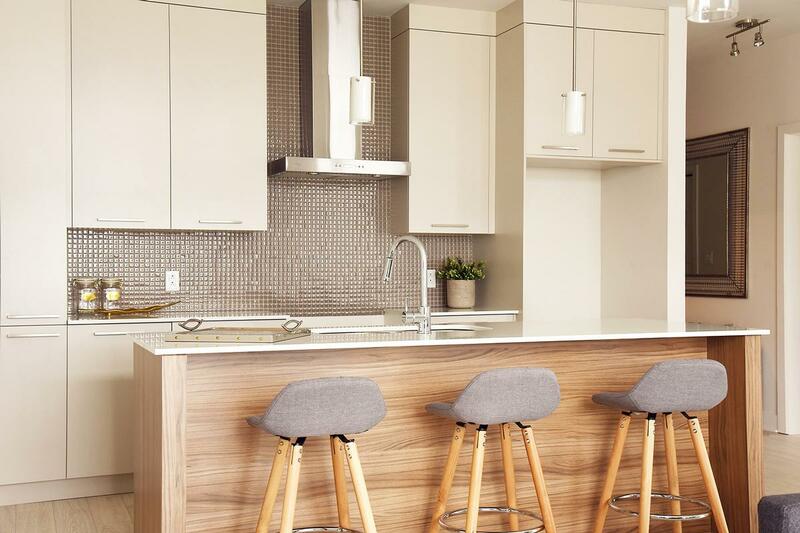 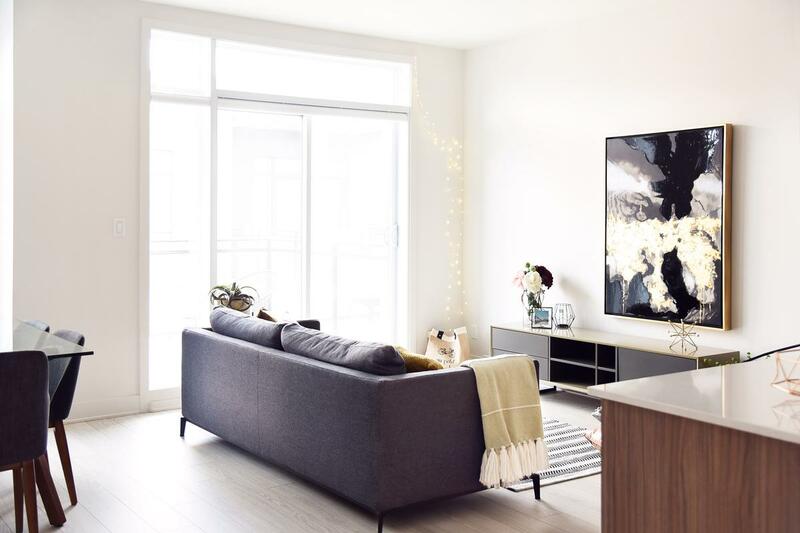 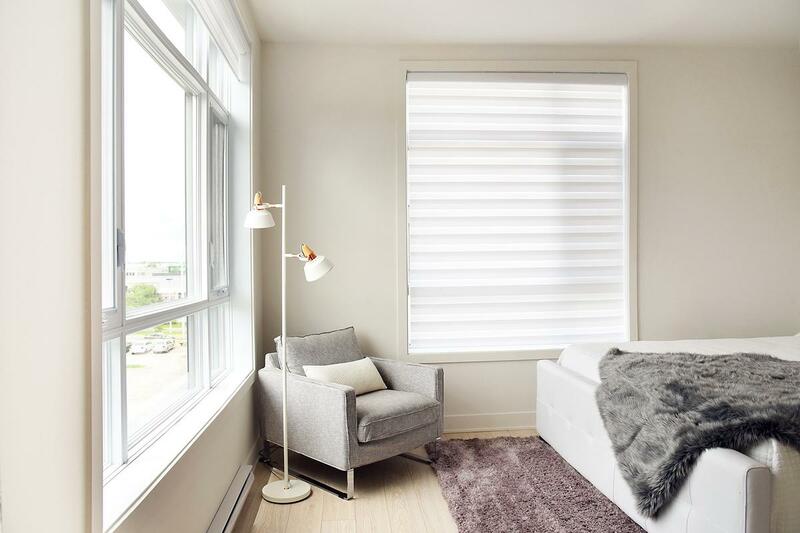 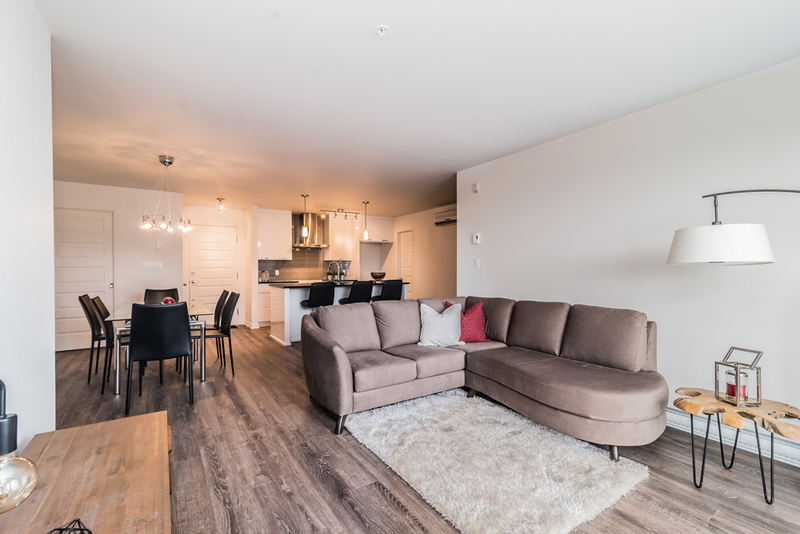 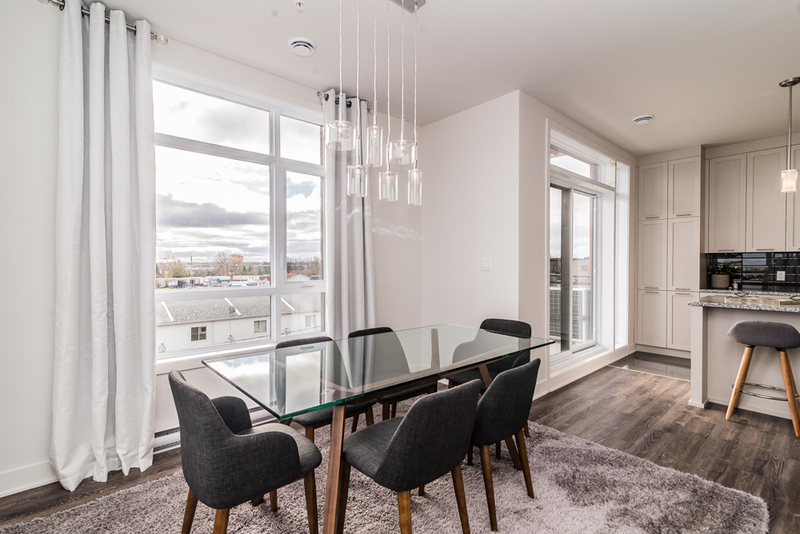 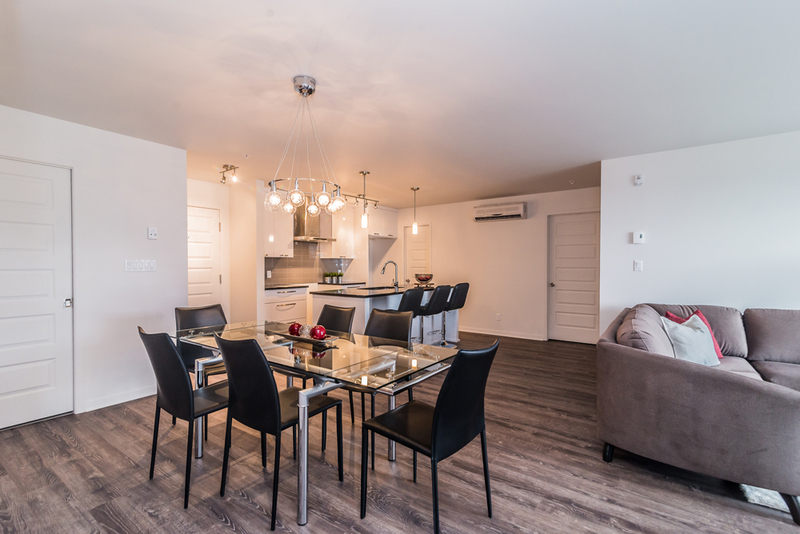 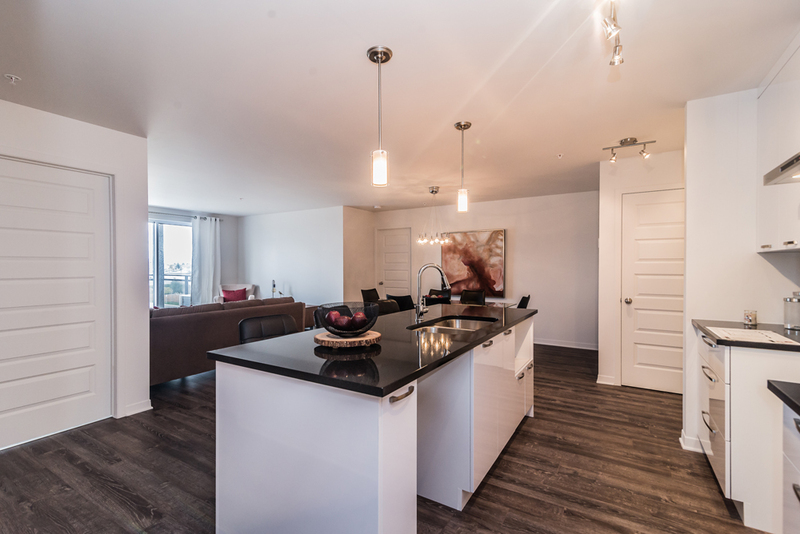 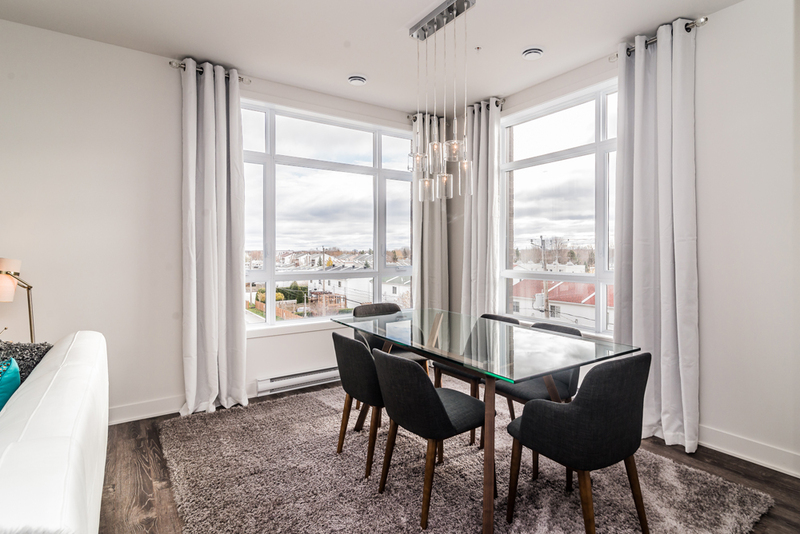 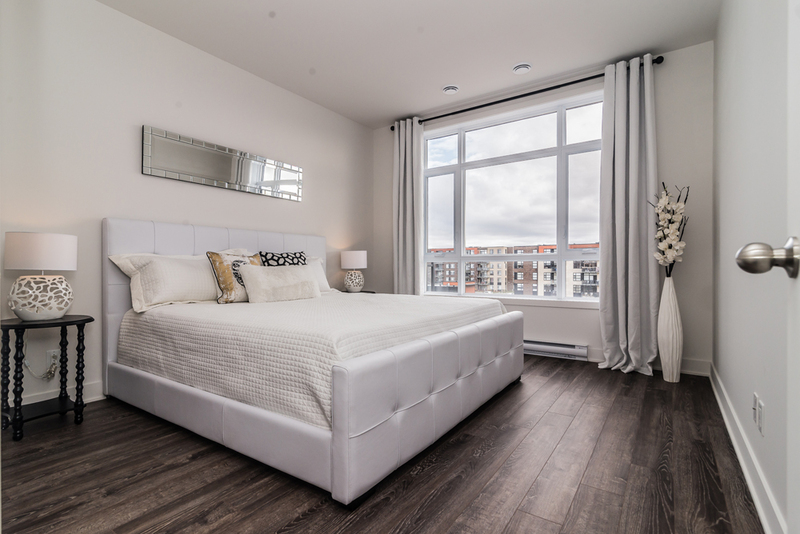 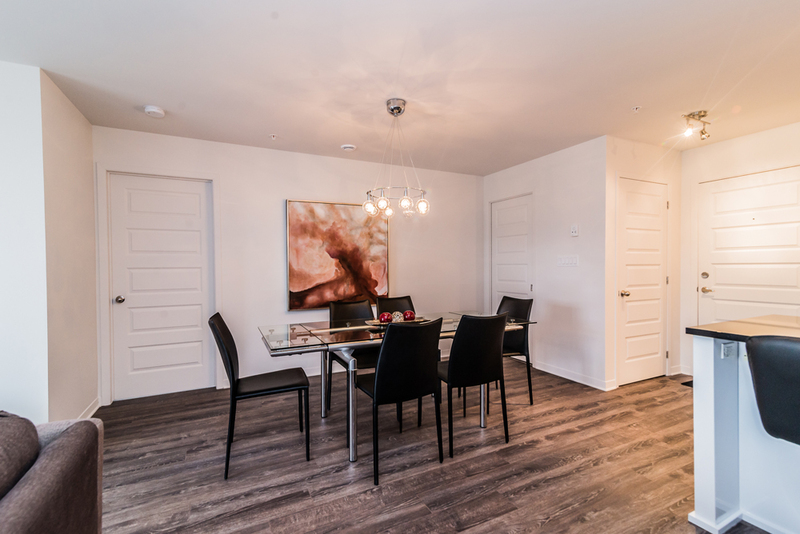 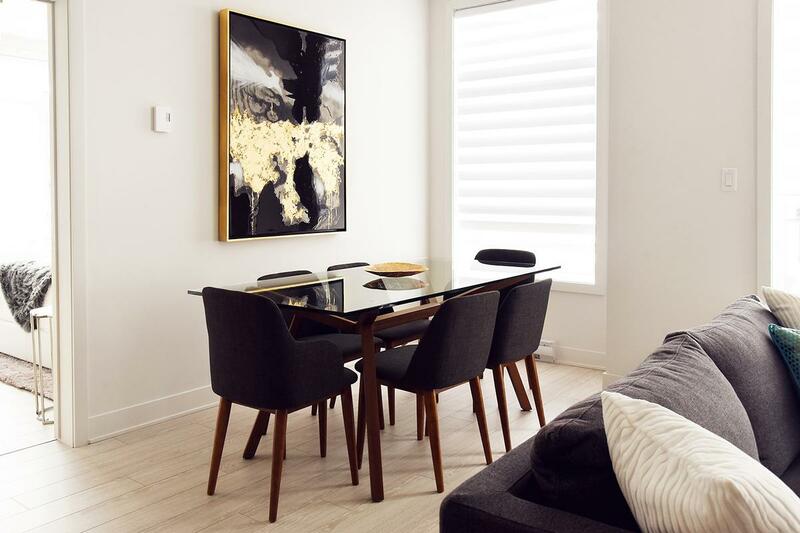 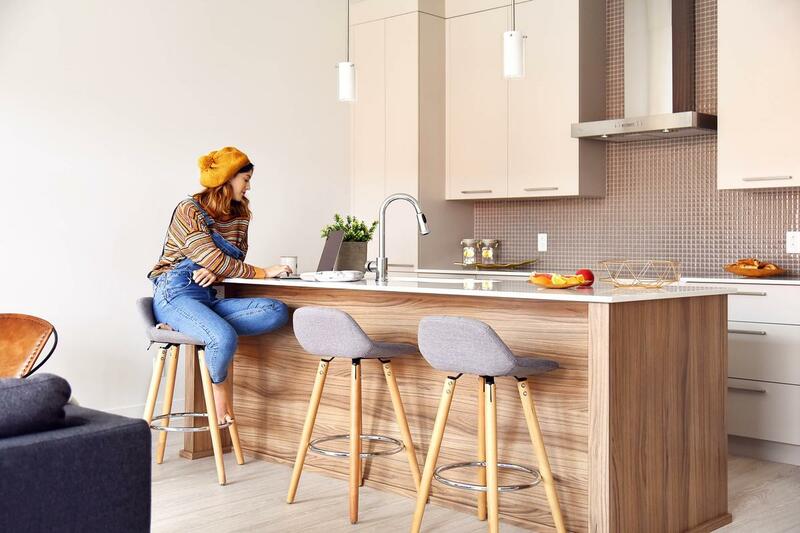 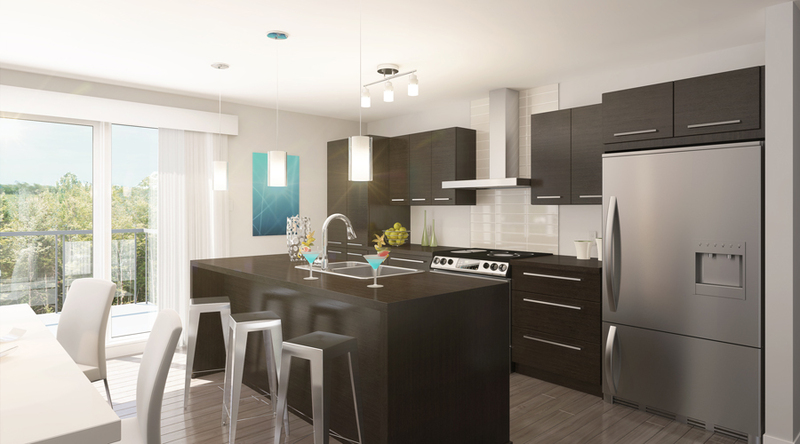 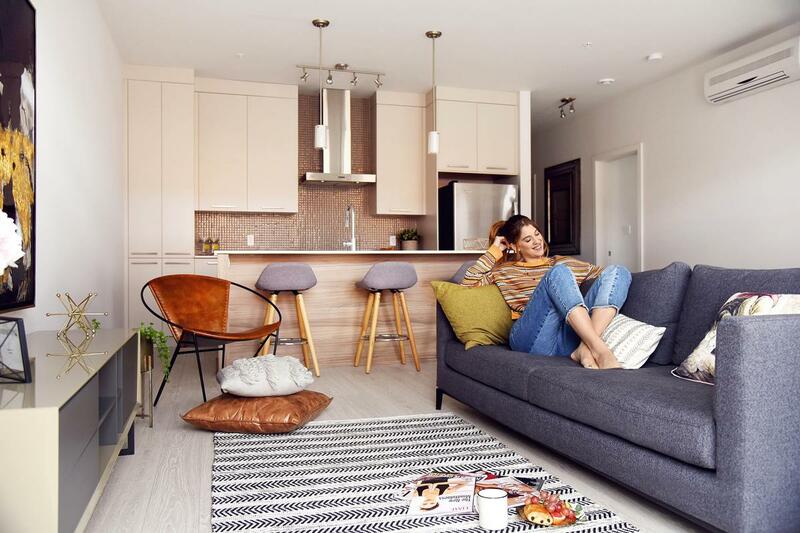 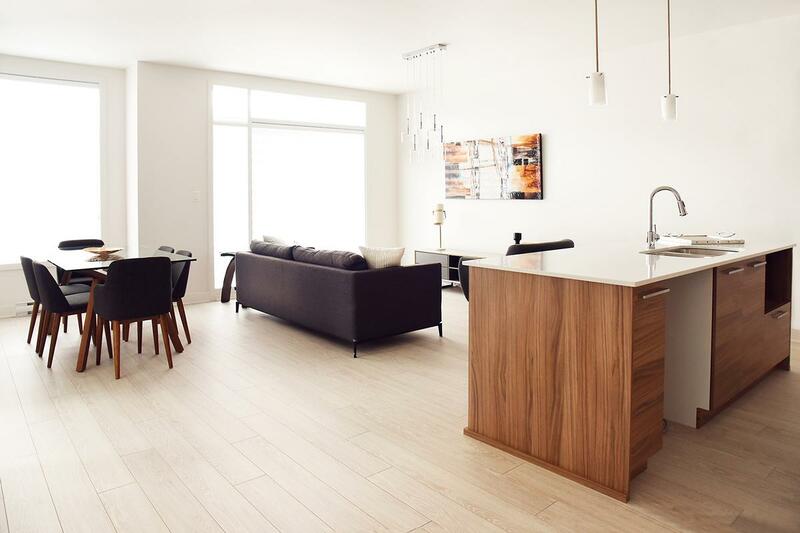 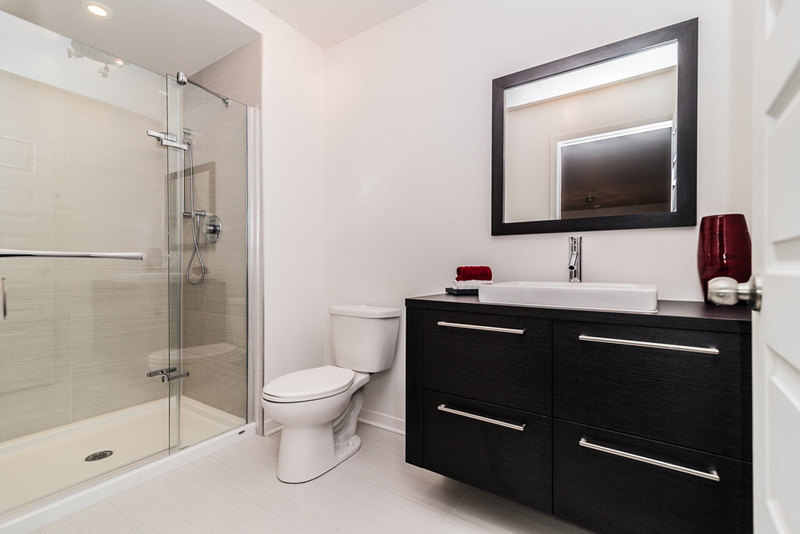 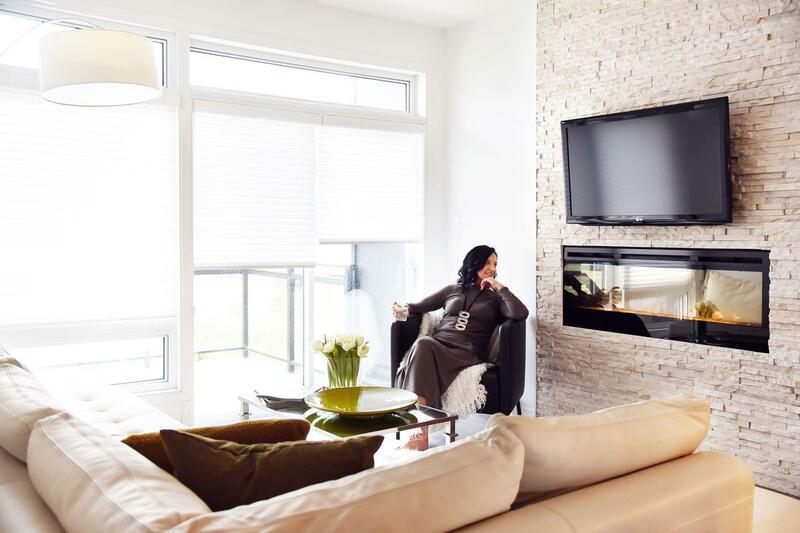 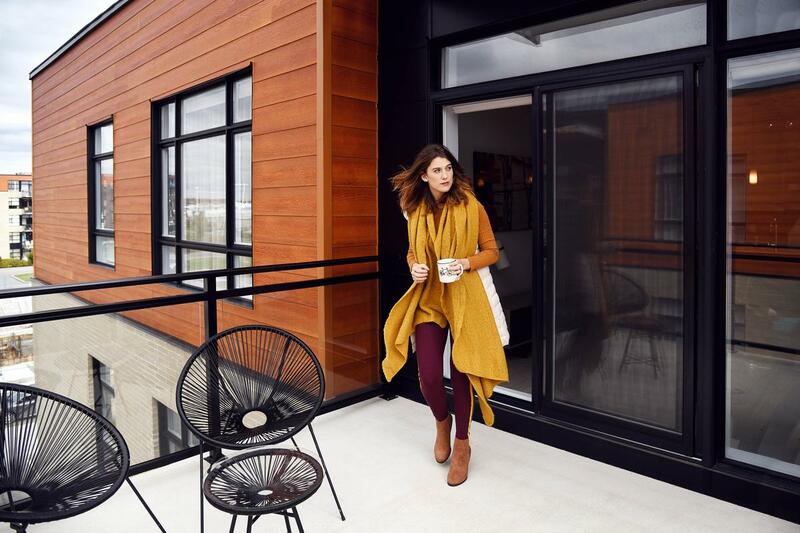 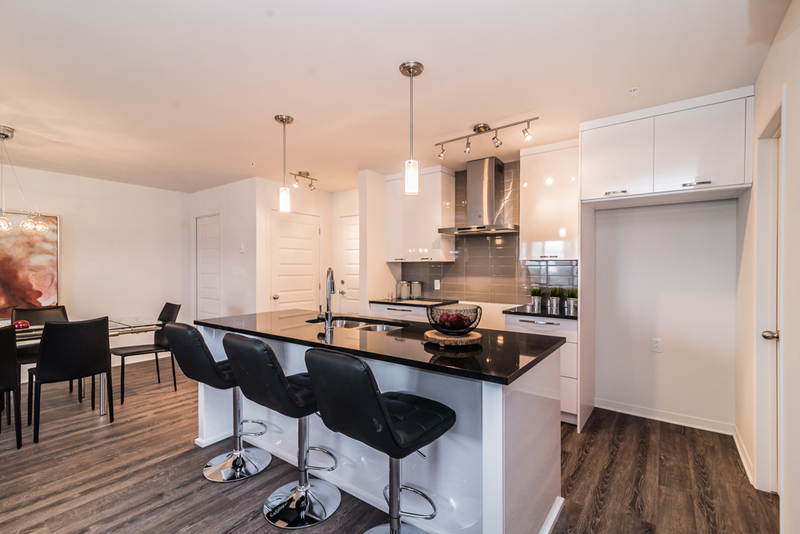 Top-of-the-line materials, high-quality finishing down to the smallest details, remarkable design and abundant natural light can be found in all interiors of the phase III condominiums. 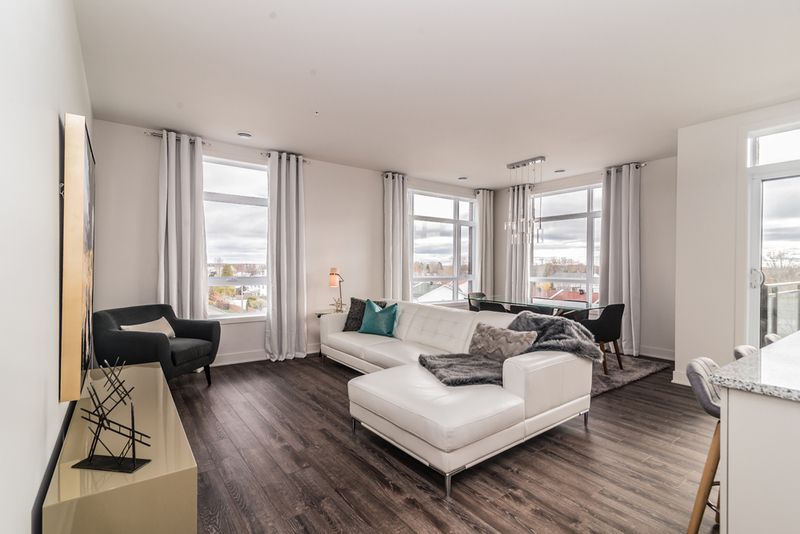 Whether you enjoy the abundant natural lighting through the bay windows or relax in the exceptional common areas, you will find simplicity and elegance in the architectural design details and functionality and comfort in your new living space. 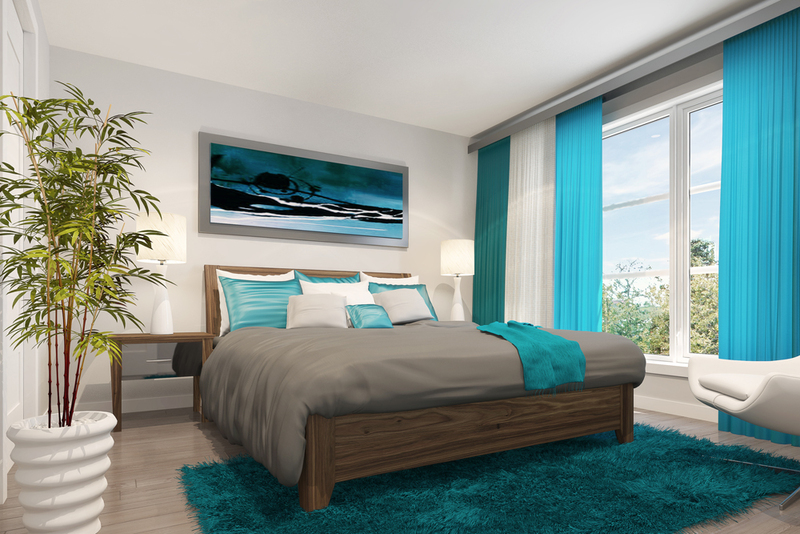 - Sprinkler systems in all rooms. 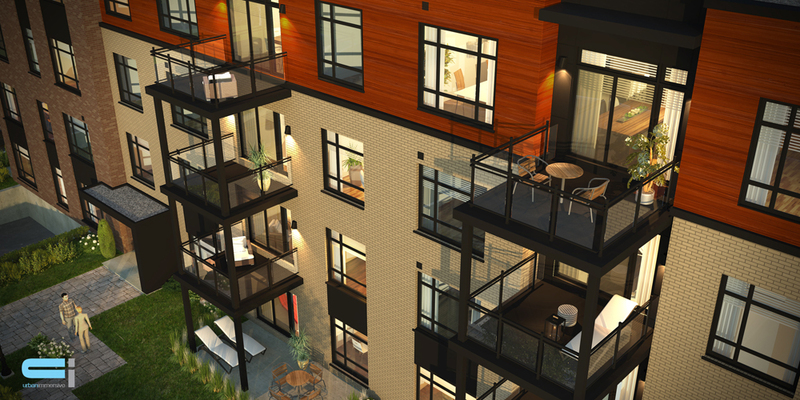 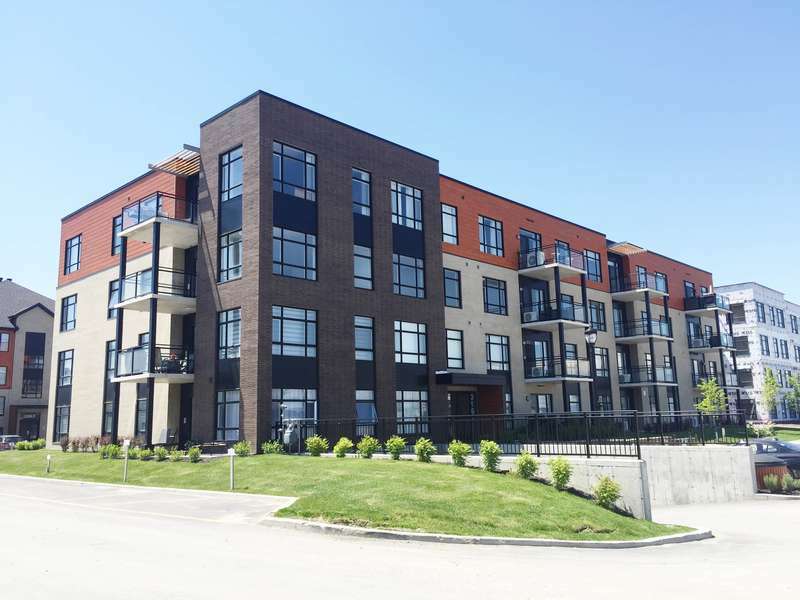 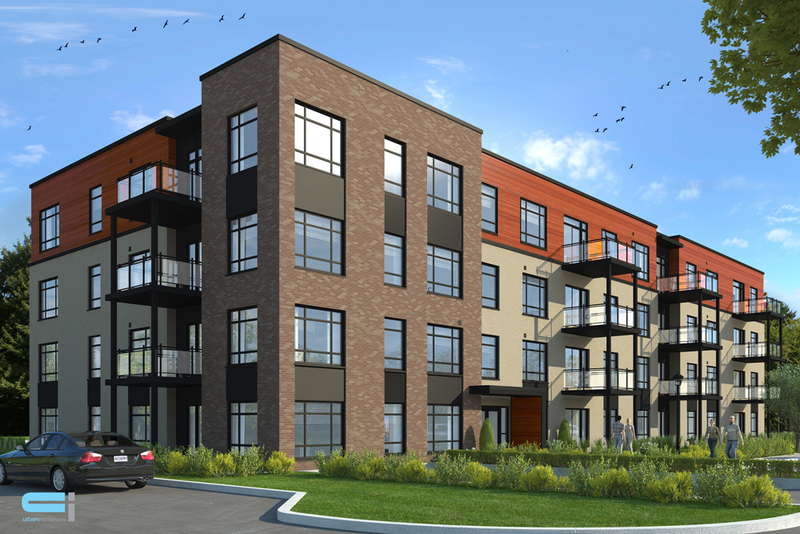 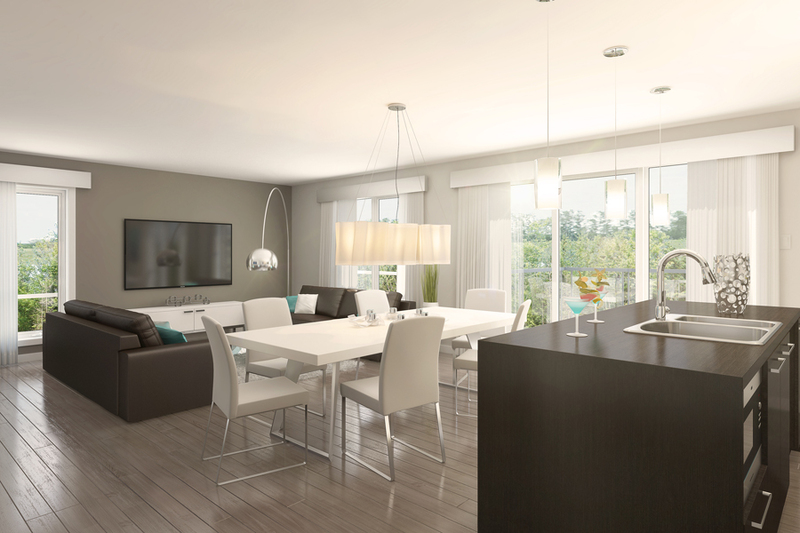 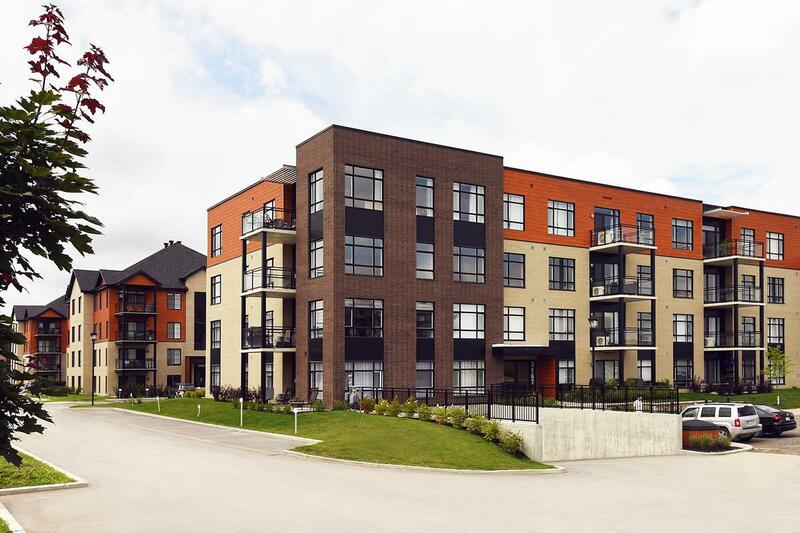 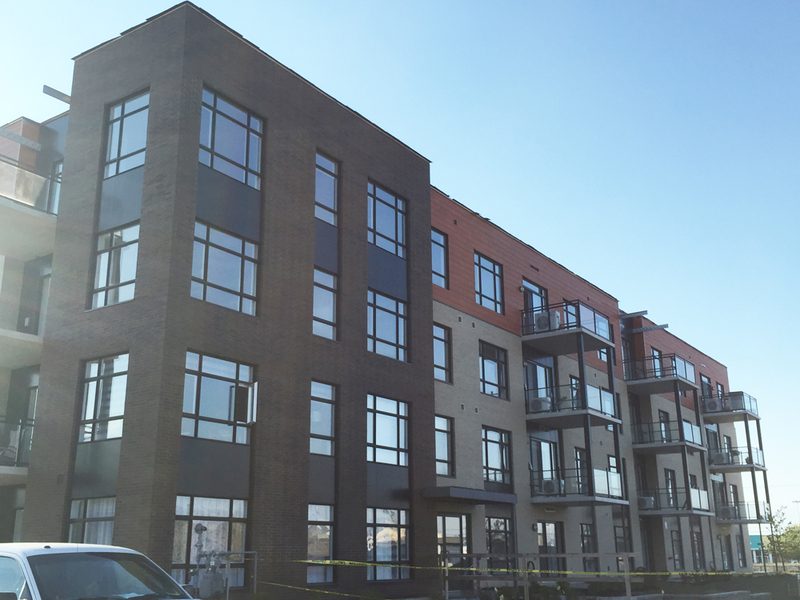 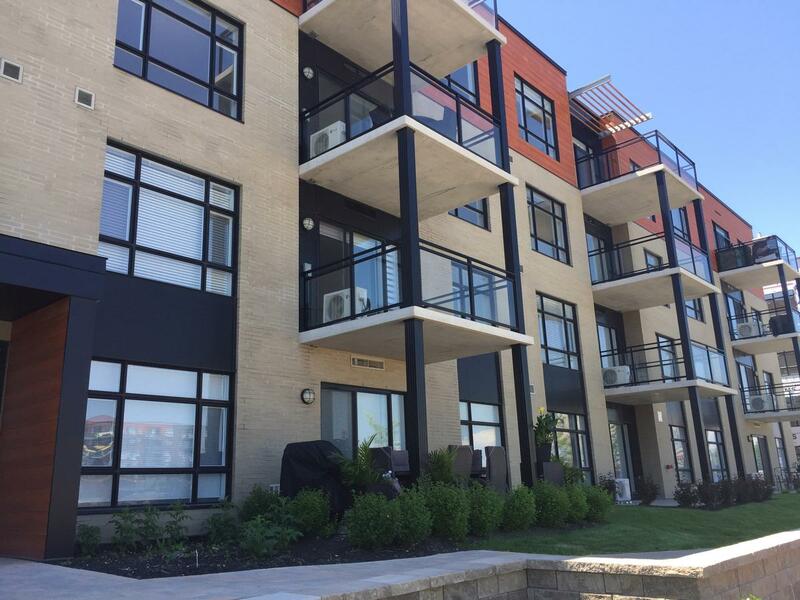 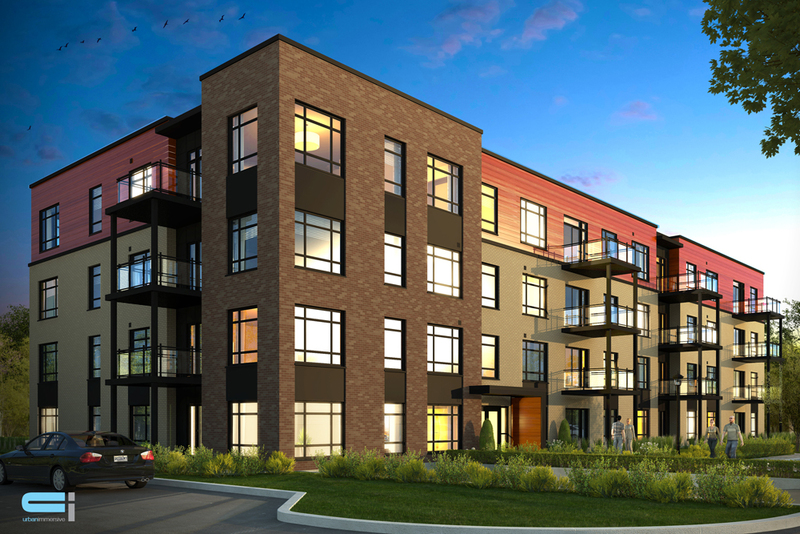 THE PROJECT'S LAST BUILDING IS NOW ON PRE-SALE, IT'S YOUR LAST CHANCE TO LIVE AT LE ONZE DE LA GARE! 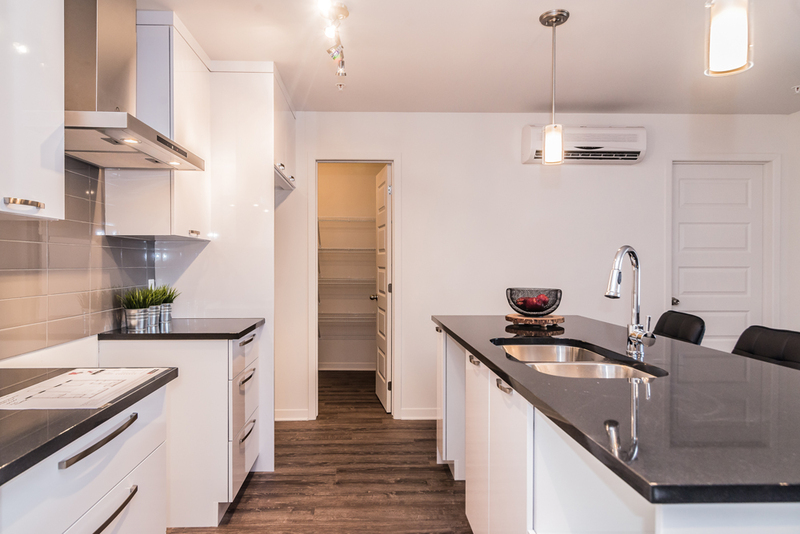 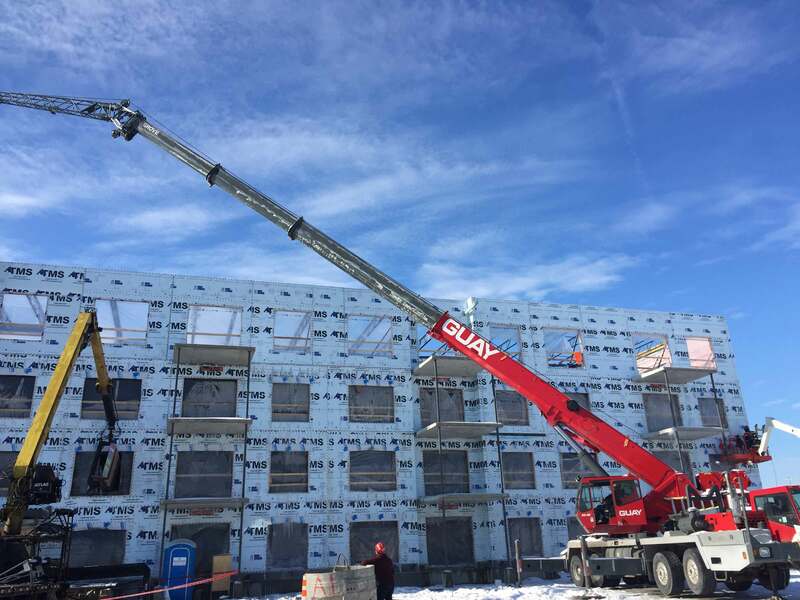 The project's last two buildings offer 47 condominiums ranging from 1 to 3 bedrooms over 5 floors ranging from 600 to 1592 square feet. 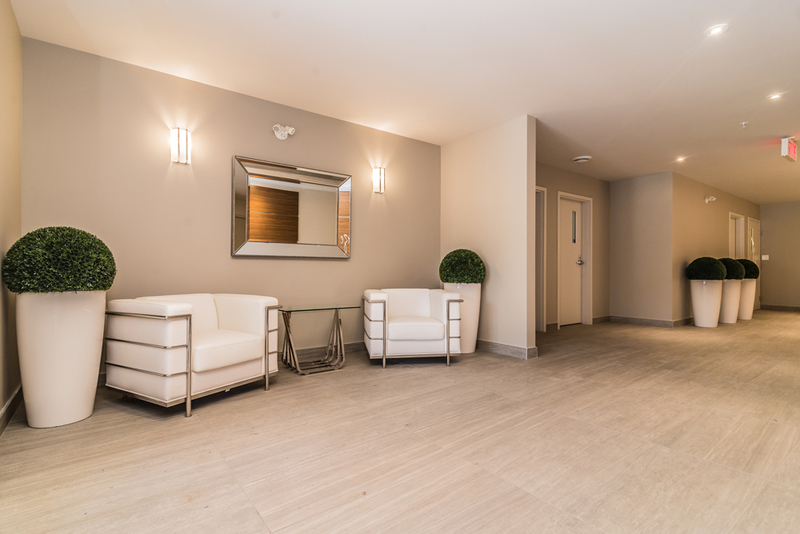 They are conveniently located in front of the swimming pool and gym, offering residents quick access to the project’s common areas. 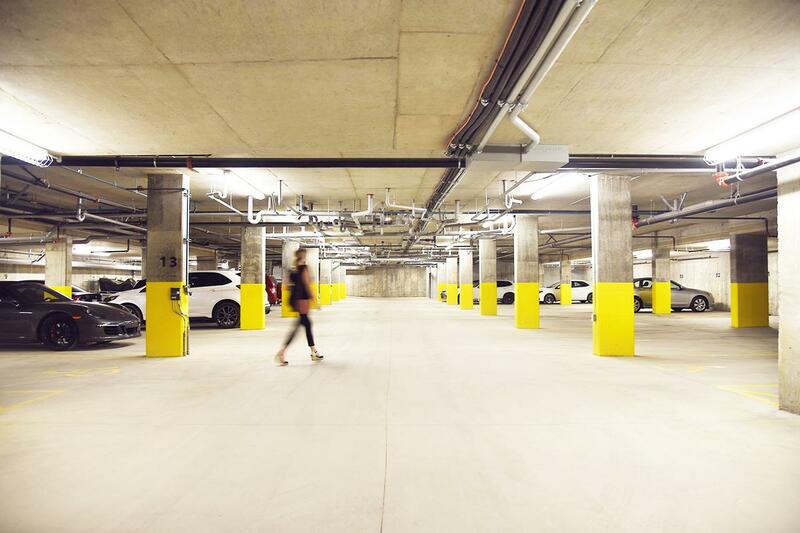 Note: Indoor and outdor parking spaces are available for an additional cost. 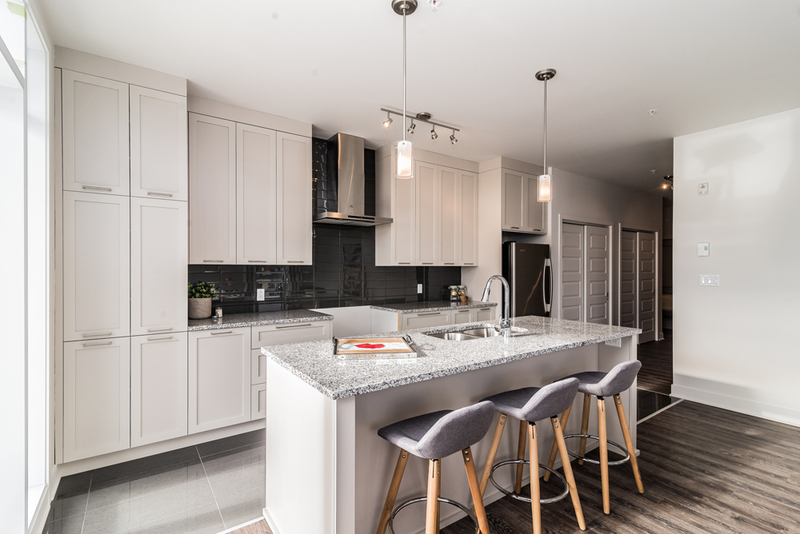 Come meet our team at the presentation center to visit the model condo and to discover our different models and our many finishing choices at our design center.